Small businesses located in Missouri who have past due customers will eventually need to hire a collection agency in attempts to recover the money they are owed. Hiring a Missouri collection agency does not have to be a stressful endeavor if a business follows the suggestions given below. Most collection agencies will do a good job but we have tips to hire the top collection agency. Results Driven– Debt collection is a business driven by successful results. All collection agencies know what the overall recovery rate is for the business within the past year. Some agencies can even provide more accurate estimates based on the type of business and how far past due the accounts are. Licensed in Missouri– Make sure before selecting a collection agency in MO that they are licensed to collect in the state. This will protect a business from any potential legal issues in the future if complaints arise from the collection efforts. Experience– A collection agency with veteran debt collectors will usually provide better results. An experienced collector will be able to better communicate and negotiate payments on behalf of a business which equals more money recovered. Reputation– Debt collection agencies can get a bad reputation if they aren’t paying out money owed to clients on time and as agreed. It is a good idea to ask for referrals and speak to clients they have served in the past to get a better idea of how the agency operates. If a business inquiries about the four details above and feels like the collection agency is well equipped to service the business, then it is always a good decision to place the accounts with the agency as quickly as possible. What amount does a collection agency charge? Some collection agencies will charge on a flat fee basis. This means if a business has 10 accounts past due, the agency may charge $25 per account. The total collection agency would be $250 and any money collected will go 100% to the business. If a business pays upfront though, what motivation does the agency have to actually work hard to collect? Most businesses do not want to invest more money into chasing bad customers. A contingency rate agreement is the best terms to work with a collection agency on. A contingency rate requires no money upfront and the agency only gets paid after it successful collects money on behalf of a business. For example, an Attorney Office in St. Louis has 10 accounts past due for a total of $8,000. 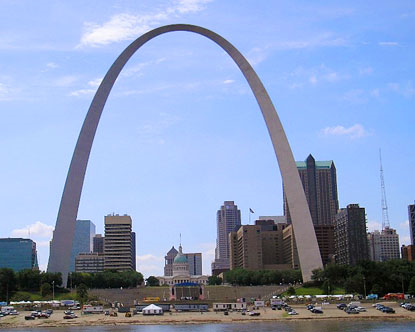 The office contacts a collection agency in St. Louis MO that offers a rate of 25%. The attorney office agrees to the terms and the agency starts working to collect the money. After a month, the agency has successfully collected a total of $4,400! The Attorney Office will receive a deposit for $3,300. The collection agency in St. Louis Missouri will keep the remaining $1,100. The attorney has additional revenue that may of otherwise never came while the agency has gained a new client and increased profits. Contingency rate agreements work as it motivates the agency to work harder to collect more money! Plus, if the collection agency collects zero, the business owes zero! Should a Business Hire an Agency Nearby? Finding the collection agency that can collect the most money is important and it will not always be a local agency. If a business can find collection agencies in Kansas City to serve then it they may feel more comfortable due to the proximity. Often a business owner will prefer a collection agency that is close by so they can meet face to face. If a Pool Cleaning company in Kansas City needs help, they will reach out to a Kansas City Collection Agency. Local agencies nearby to where a business operates will be understand the current economic conditions and be able to relate better to the debtors over the phone. A debt collection agency in Kansas City may not have the biggest office or latest technology, but the local collectors can make up for that perceived disadvantage. Get a free quote from a Missouri collection agency today!